Lately we have been dealing with an increasing number of attempts to manipulate antennas ranking. Note: each person is allowed to post one and only one review for each antenna model. Exceptions can be made only under special circumstances when the reviewer feels that his earlier review must be corrected. We have a sophisticated manipulation detection system in place and we will not tolerate any attempt to game the system and mislead consumers and our visitors. We reserve the right to delete any review that we feel is misleading or inappropriate and do that at our sole discretion. Thanks for understanding. Also, from now on we require all reviews to be at least 100 words long. Short reviews, such as "a piece of junk" or "works as advertised" are not very helpful. Consider specifying more details. 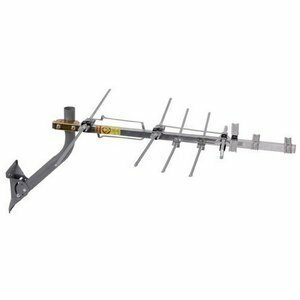 Elaborate on your location, the equipment you are using, reception quality of specific channels in your area. Check the word counter at the bottom when writing.